Diving with hammerhead sharks is one of the ultimate scuba diving experiences. You'll never forget the first time you come face to face with this bizaare creature. They look like something out of a science fiction movie. To see one is impressive, to see swarms of them cruising around you is absolutely breathtaking! Hammerheads can live a long time - usually between 30 and 40 years. The biggest of the 9 species is the Great Hammerhead, which can grow up to 6 metres in length and weigh up to 450kg's, but the average size of most species is around 4 metres and 230kg's. 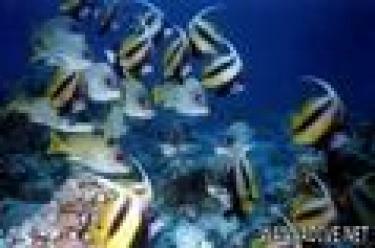 They are found around the world, in tropical and temperate waters. They use their crazy-shaped head as a hunting tool; with eyes on either end of their head it means they can actually see better than most sharks, improving their ability to find prey. They have many sensors along the width of their head that send out electrical charges to locate prey even burried underneath the sand. They are carnivores and their favourite food is stingrays. They use their heads to pin the wings of the ray to the sea floor so it can't escape. Hammerheads are not an aggressive sharks and aren't considered dangerous to humans, although the sheer size and preditory nature of the Great Hammerhead means caution should always be taken when diving with these prehistoric giants. There are very few attacks on record, but you should never rule it out, especially in remote diving areas. The Squat-headed and Scalloped Hammerhead Sharks are on the endangered species list. Extreme care should be taken in the preservation and conservation of this shark and its environment. All of the following hammerhead dives are for experienced advanced divers with good buoyancy due to the strong currents, rough conditions and depth of the sites. We've found some cracker dives for you around the world, so you can experience the true wonder of diving with hammerhead sharks. These three locations are known as the hammerhead triangle and are hands down the best place to dive with hundreds of hammerhead sharks. 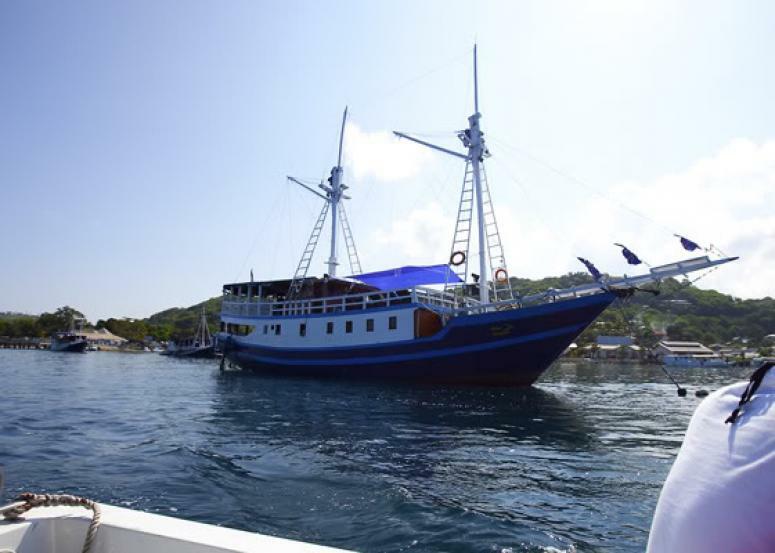 You can only reach these dives on a liveaboard so be prepared to pay quite a bit for the priviledge of experiencing the world's best hammerhead diving. 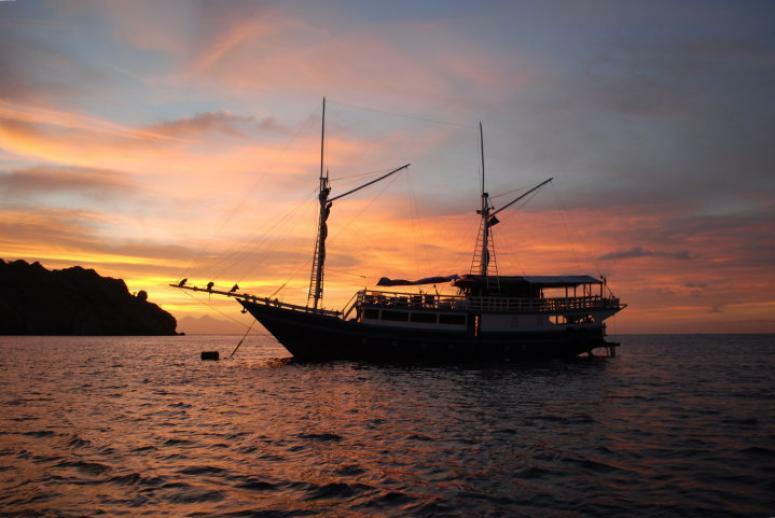 The COCOS ISLANDS are located 550km off the coast of Costa Rica, with liveaboard trips leaving from the port of Puntarenas. There are 20 superb dive sites including steep vertical walls, blue water diving, pinnacles teeming with life and speedy drift dives. 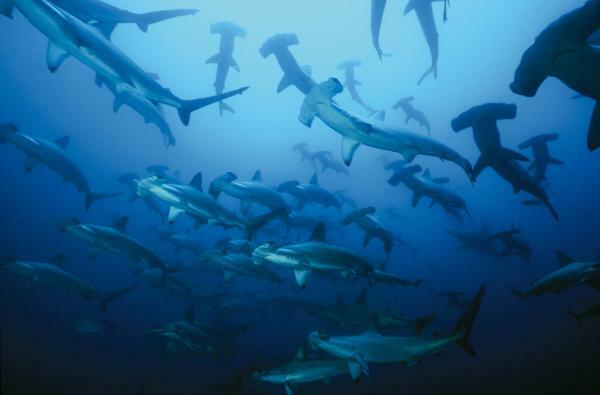 The hammerheads congregate in the hundreds here, in particular sites such as Bajo Alcone, Dirty Rock and Punta Maria are all favourite hammerhead hangouts. The best time to see them is June through to September. Although hammerheads are the highlight of the Cocos Islands we're sure you won't might the the other awesome lineup of cool animals such as reef sharks, whale sharks, turtles, mantas and dolphins, all regular visitors to these sites. 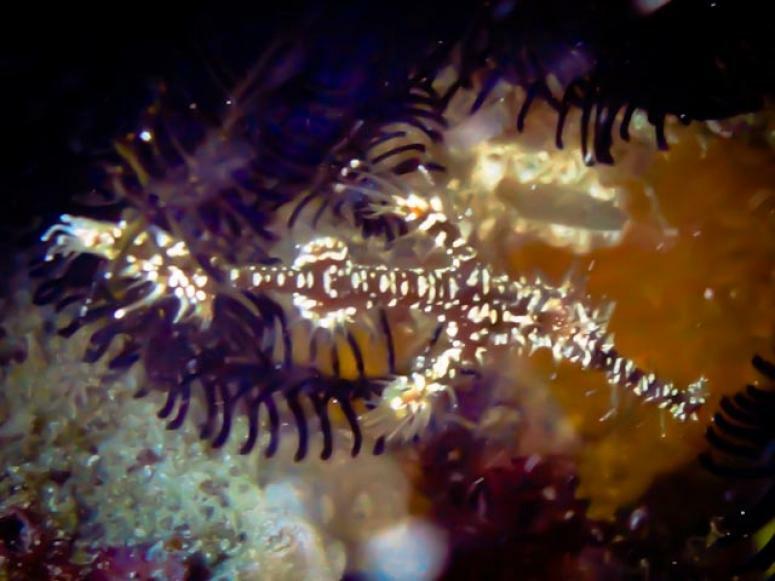 Weather conditions and the long 36 hour journey to the islands means that this trip is not suitable for beginner or non-divers, but for the experienced diver, it's the place where dive dreams are made. The GALAPAGOS ISLANDS are also on the top of the world class hammerhead diving checklist and the great thing is they can be seen all year round, although June to November is much calmer weather. The area consists of 13 islands and 6 small isles, 1000km off the coast of Ecuador. You can fly into the islands from the mainland to either San Cristobal or Baltra airports. It is possible to do day trips from the islands around Gordon's Rocks which is an hour away, and you will see hammerheads but not in the same proportion as the more remote areas. Rays, marine iguanas and sea lions are also favourites here. Hop on a liveaboard and take the 14 hour trip out to Wolf and Darwin islands, the mecca of hammerhead sharks. It's also possible to see reef sharks, tiger sharks, mantas, dolphins, whale sharks, turtles, sea lions and maybe even a pilot or humpback whale if you're really lucky! Now that's a lineup you don't want to miss out on. MALPELO is a volcanic island and 11 islets that belongs to Colombia and is located 90km's west of Buenaventura. 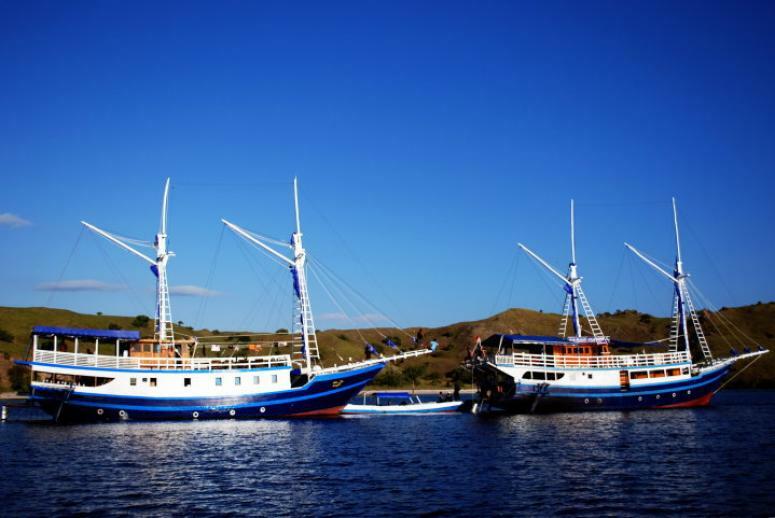 Liveaboards leave from this port but special permission from the National Natural Park offices in Bogotá is required to visit the island. 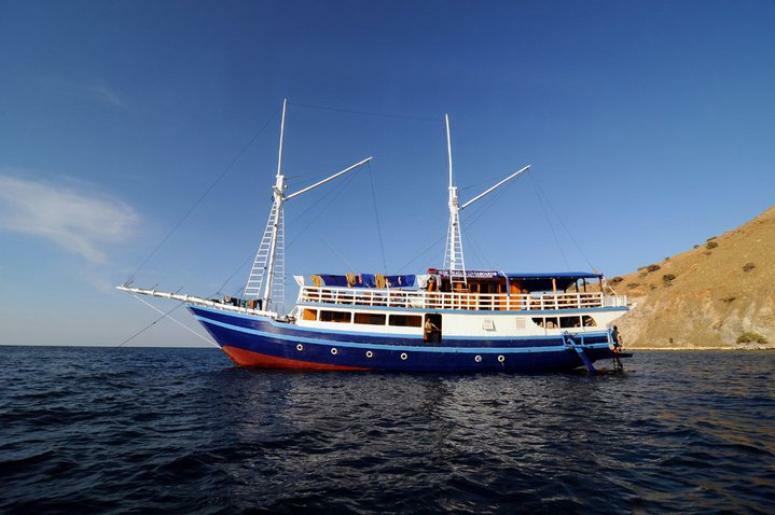 The trip will take around 30 hours, depending on the weather and only one liveaboard may dive at the island at any one time, with a maximum of 25 divers, so you can be sure you'll be the only group diving in the area. There are around 20 awe-inspiring dive sites, most of them with hammerhead encounters, especially at the Castaway, Freezer and Monster Face dive sites, sometimes you'll dive with schools of up to 300 sharks! 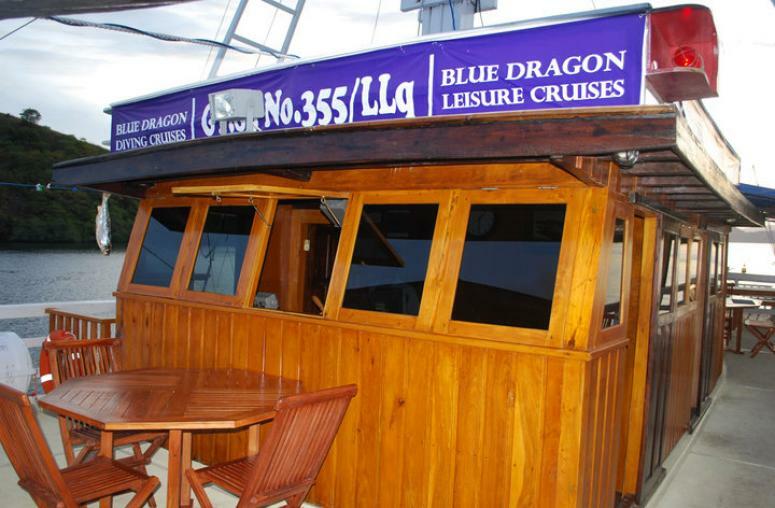 Along with that you'll get to dive with reef sharks, the Galapagos Shark, huge schools of jacks, tuna and angelfish, whale sharks and the incredible Humpback Whale, for the really lucky; the Blue Whale. 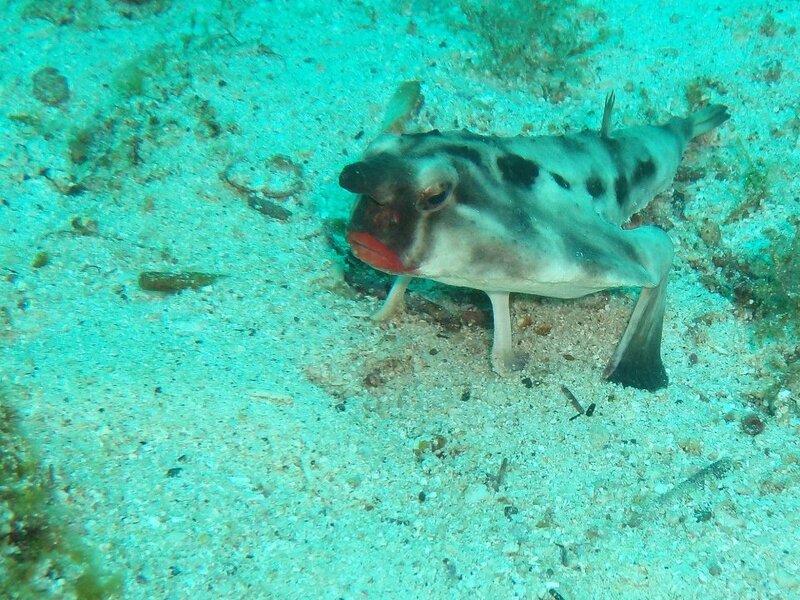 For a rare opportunity, keep your eyes our for Snail Fish and the elusive Ragged-Tooth Shark. World Class diving at its best. The man-made island of Layang Layang is located 300km north of Sabah in Borneo Malaysia. 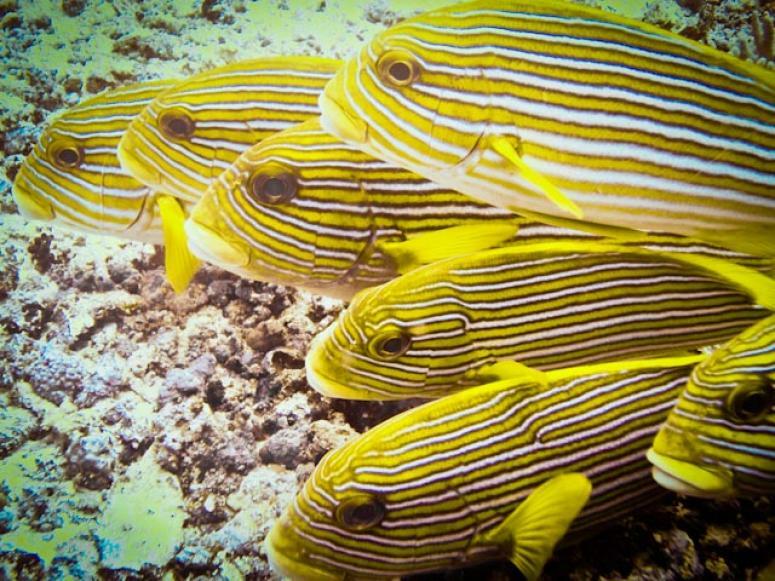 You can fly from the mainland as the island has an airstrip, but it doesn't have any sandy beaches and only one resort, so the reason to come here is because of the diving. The resort is only open from March until August and it is one of the best places in Asia to see schooling hammerheads, March and May being the best months in the season. 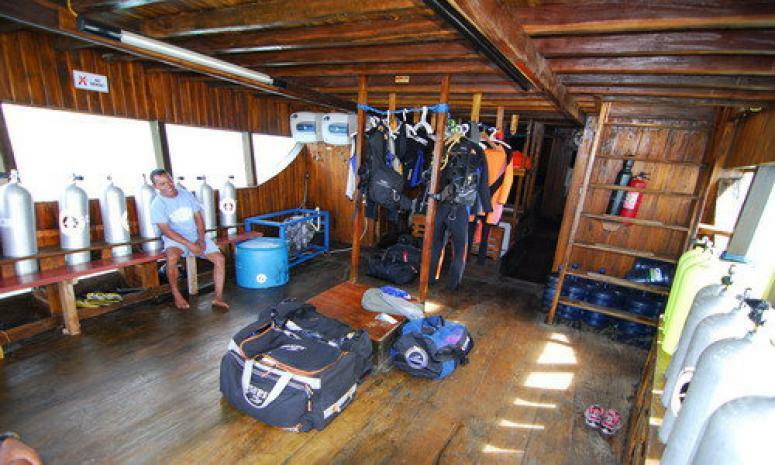 There are around 12 dive sites in the immediate area, no more than 15 minutes from the island so travel time is short. The number one hammerhead dive is The Point but you'll also see them on most of the other dive sites too, the best being Gorgonian Forest, Dogtooth Lair and Shark's Cave. Keep your eyes out for other cool stuff too like reef sharks, mantas, turtles, eels and there's also some great macro diving here to explore. 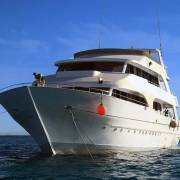 Of course the Maldives pops up in the world's best diving for hammerheads and the best place in the country is around the Rasdhoo Atoll, accessible by liveaboard travelling between South Male and Ari Atoll and it's the highlight of any liveaboard trip. The site is accessible all year round, but the best time for hammerheads is December to April. Hammerhead Point, also known as Madivaru Corner, is a dive best done in the early morning so you can witness the impressive sized school of hammerheads cruising through the channel, sometimes with groups of other sharks. 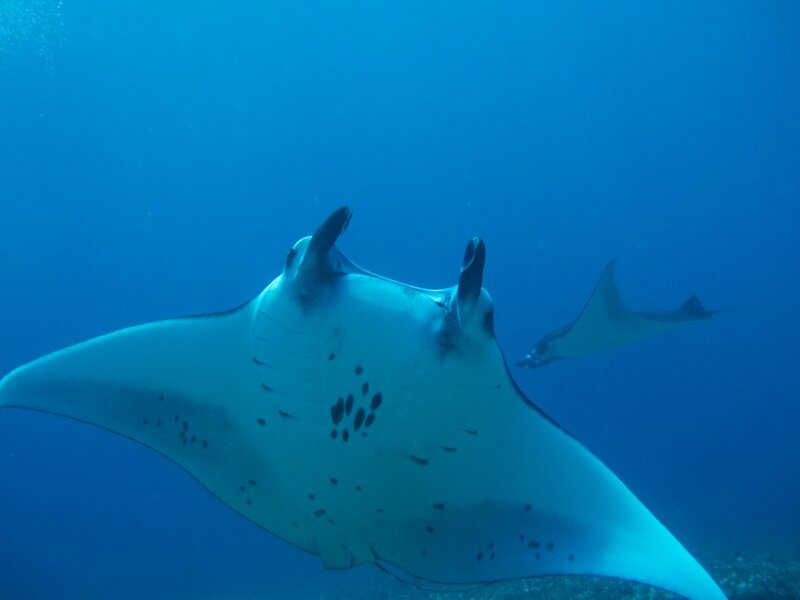 You might also see dolphins, turtles, whale sharks and other reef sharks and the special event of the 'Cyclone'from May to October at the Hanifaru Lagoon where hundreds of mantas feed together in a truly spectacular sight. 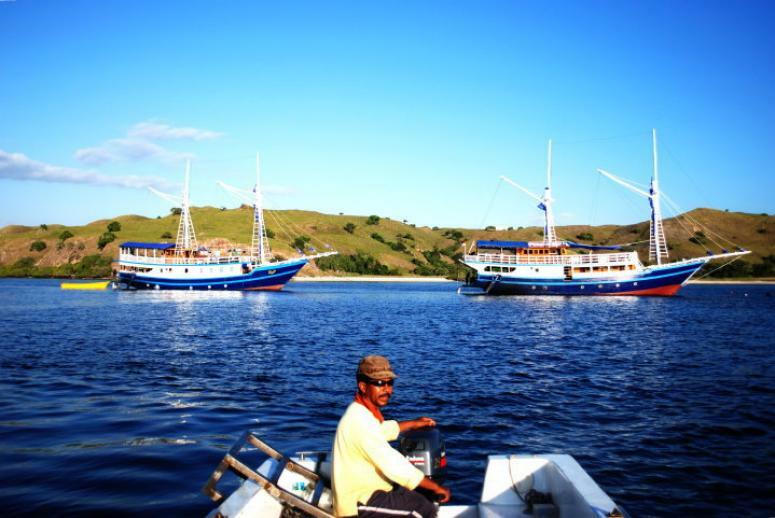 Sekotong Tengah in Lombok is a peninsual in the Lombok Strait and great for a hammerhead encounters. 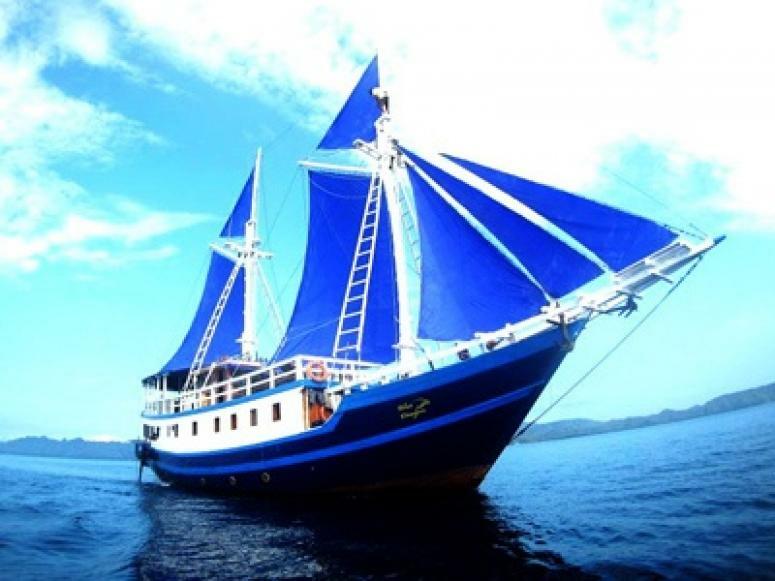 The dive sites can be easily reached by boat from Sekotong Barat or Belongas Bay, the best site being 'The Magnet' where schools of hammerheads frequent from the end of June until the first week of November. 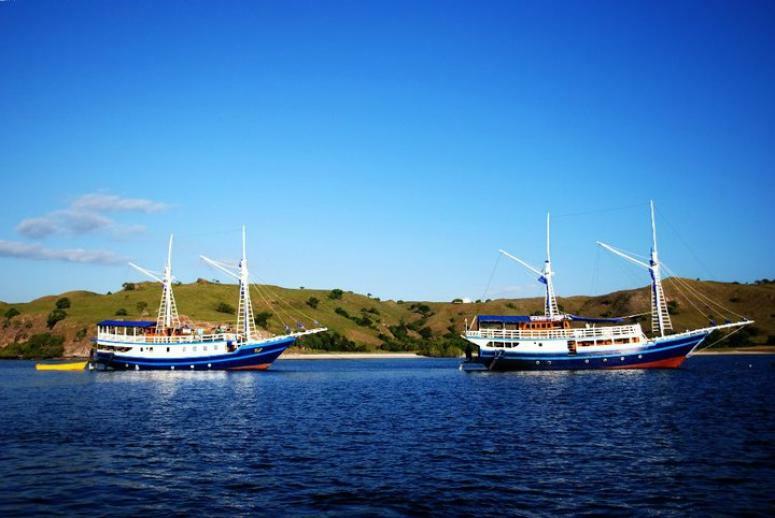 Komodo is Indonesia's prime liveabooard destination, with around 35 dive sites in the national park, you really are spoilt for choice. The highlight of the diving here is GPS Point, a fast paced dive that will excite you, especially if you come in contact with a hammerhead. Langkoi Rock is another hammerhead hangout, usually in the months from July to September. 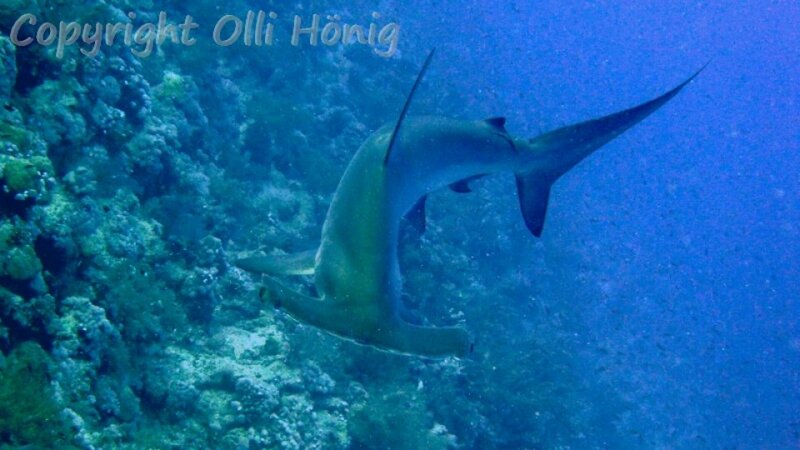 Enjoy Indonesia's best hammerhead diving! 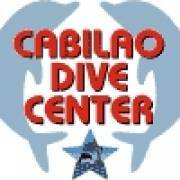 The small island of Cabilao is located about 60km's from Macatan Island and 5km's from Bohol Island in the Philippines. There are some fabulous sites in the area, easily accessible by boat from the island and excellent for seeing schools of hammerheads in the winter months from December to April. Shark View Point (also known as Hammerhead Point or Talisey) is the number one spot for hammerheads, with sometimes up to 100 on one dive. The other hotspot is Lighthouse Wall where they frequent regularly. Reef sharks are also common on these sites along with big schools of jackfish and barracuda and when you're done gawking at the hammerheads, you can enjoy finding all sorts of cool critters such as seahorses, the ghost pipefish, nudibranchs, crabs, star gazers, scorpion and stone fish. 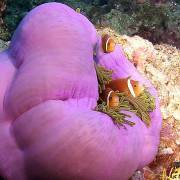 The big and small stuff, all in one dive; heaven! Hop on a liveaboard from Hurghada and head to the southern part of the Red Sea for a truely wonderful hammerhead experience. 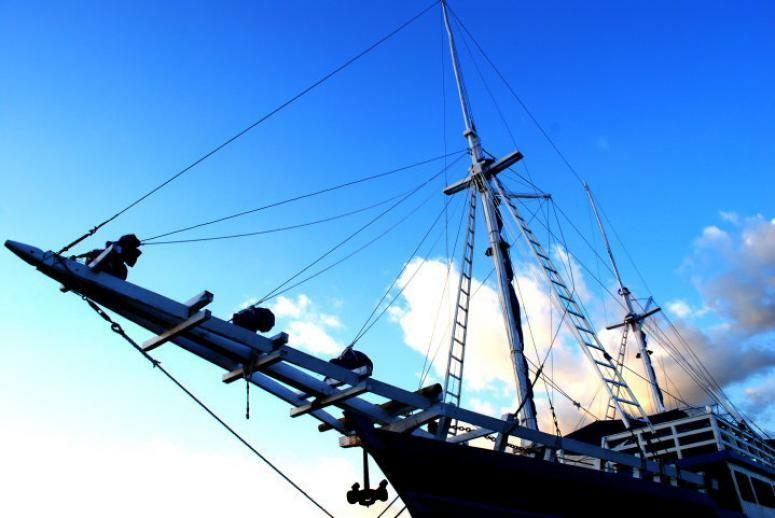 Spend a week exploring the many wonderful sites available, in particular the reefs around Elphinstone, schools of them on the Jackson Reef from July to September and in Daedalus from May to July. It's a diver's playground around this area, especially for shark lovers. There are reef sharks, Silky Sharks, Thresher Sharks and the impressive Oceanic White Tip, along with whale sharks, turtles, mantas, eagle rays, dolphins and the amazing Dugong. If you don't manage to catch a sight of the hammerheads, we're sure you won't be disappointed with the diving in southern Egypt. THE BAHAMAS - Andros, Bimini, Cat Island, Eleuthera, Grand Bahamas, Nassau, San Salvador, The Abacos, The Exumas, Long Island and the Berry Islands hammerhead season is from December to February, although there has been sighting all year round. 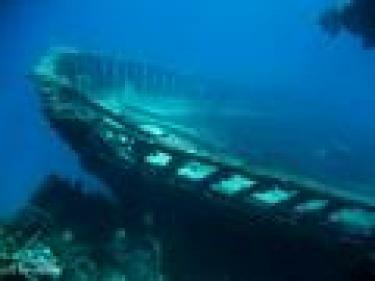 MEXICO - The Socorro Islands from April to June and La Paz, particularly at the site El Baho (also called The Seamount) from September to February. GRENADA - Carriacou Island you might spot a hammerhead all year round. 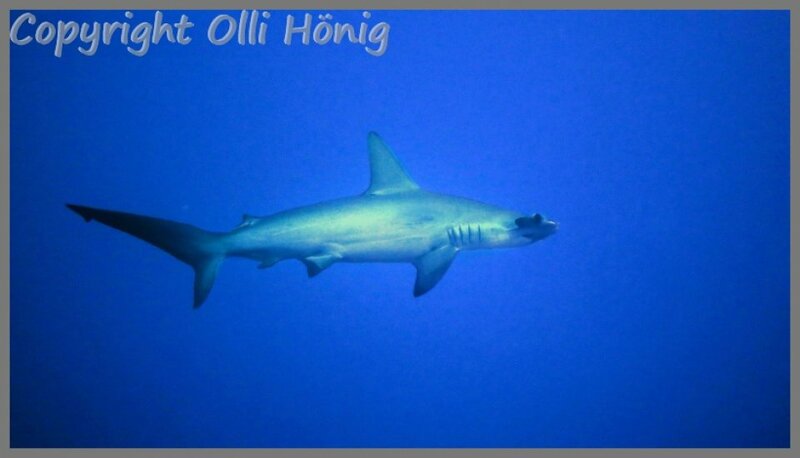 PHILIPPINES - The Monad Shoal in Malapascua is a great place to spot a hammerhead from December to April, maybe a school if you're lucky in the month of April. MICRONESIA - The islands of Palau you can see hammerheads all year round. BELIZE - You might spot a hammerhead at the Sapodilla Cayes from June until September. FRENCH POLYNESIA - Rangiroa, in particular the site Tiputa Pass (Shark's Cave and The Valley) is the place to see hammerheads. So there you have the world's best dives for hammerhead sharks. We hope your shark hunting adventures are prosperous and we'd love to hear about any other great destinations you've found or see photos and videos of your best hammerhead shark dive.